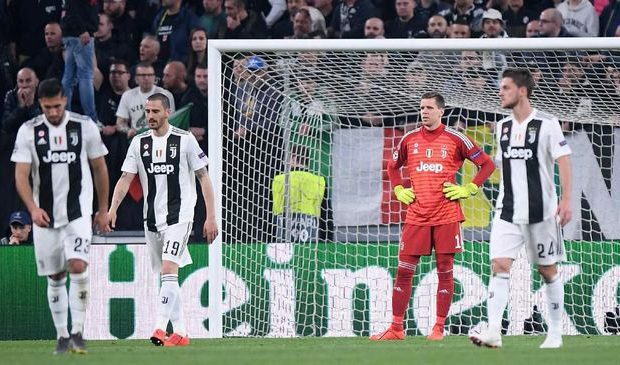 Ajax Amsterdam managed to get rid of Juventus from the Champions League after a 2-1 victory at the Allianz Stadium on Wednesday (17/4). Juventus managed to lead 1-0 through Cristiano Ronaldo in the 28th minute. In a corner soccer scheme obtained by Juventus, Miralem Pjanic is believed to be the executor. Ajax’s back line missed watching Ronaldo’s movements. The Portuguese player easily headed the ball into the Ajax goal which was under guarded by Andre Onana. Juventus’ advantage turned out to be only six minutes. Ajax managed to create a reply goal through Donny van de Beek. This goal smelled of luck because Judge Ziyech who intends to kick a long distance shot instead sent the ball to Van de Beek. The player with the back number six was freed from an offside position and did not waste the opportunity to equalize. The cold final touch from Van de Beek made the 1-1 score in the first round. Draw in the first half, Ajax managed to appear more impressive in the first 20 minutes of the second half. They successfully locked the host defense and created two golden opportunities to score. The first opportunity was created through Ziyech in the 52nd minute. Ziyech’s shot from close range was anticipated by Wojciech Szczesny’s left hand. Six minutes later, it was Van de Beek’s turn to kick a shot from outside the penalty box. Van de Beek’s shot went into the left corner of the goal but Szczesny managed to brush the ball out. Ajax’s dominance in the second half finally paid off in the 67th minute. The corner released by Lasse Schoene was headed by Matthijs de Ligt into the right corner of the goal. In the 75th minute, Ajax almost increased the advantage through David Neres. Neres is free standing after receiving Ziyech’s pass. Unfortunately Neres’s completion wasn’t so good that the ball missed the target. Five minutes later, Ziyech managed to break into the Juventus goal through a shot that led to the left corner of the goal. But the goal was not ratified because Ziyech was in an offside position. Juventus tried hard to get up but Ajax managed to keep a 2-1 lead until the match ended. In the semi-final match, Ajax will face winners in the match between Tottenham Hotspur and Manchester City. If they are able to maintain performance, chances are Ajax will advance to the Champions League final as in the 1994/1995 and 1995/1996 seasons.